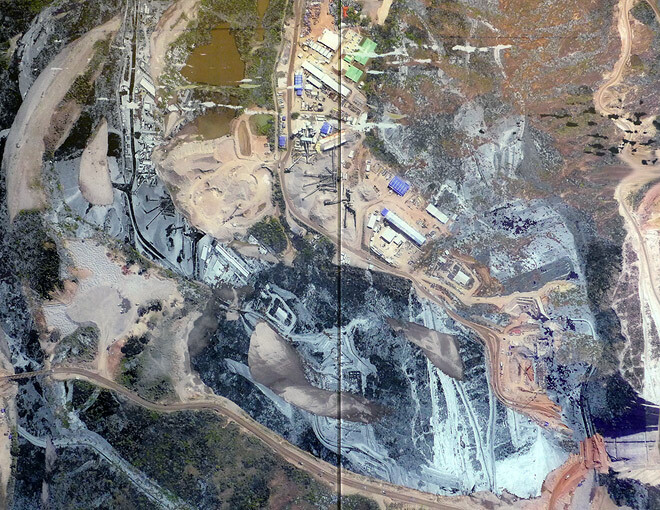 Digital prints on glass, satellite images. 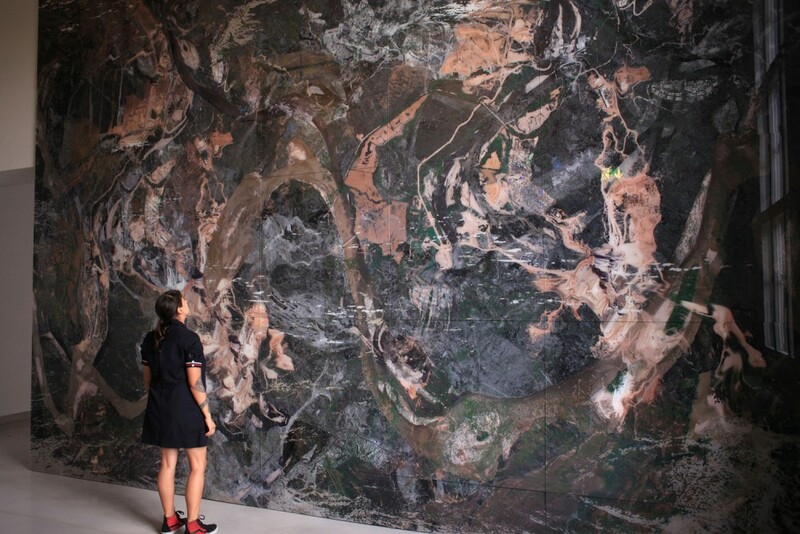 Caycedo’s project for the 8th Berlin Biennale, YUMA, or the land of friends (2014) developed out of the artist’s recent research into waterways, their political and cultural impact, and their historical development. Here she deals with the particular case of the El Quimbo Dam in Colombia. The dam’s construction required the redirection of the Magdalena River, the main fluvial artery in the county, affecting a vast area and displacing the indigenous population of the region. 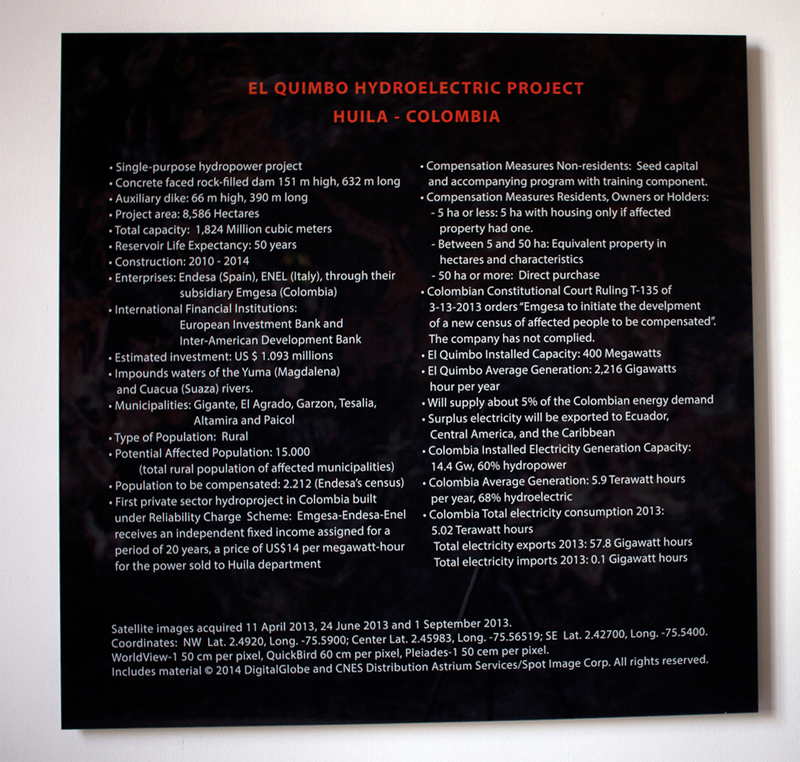 Through this case, Caycedo investigates the destructive cultural and environmental consequences of erecting dams, as well as the desire to master the course of nature and the complicity of state power in quelling social unrest.